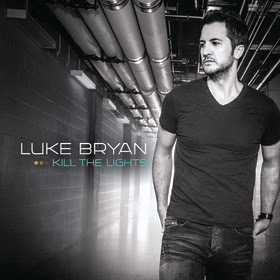 Luke Bryan will hit the bright lights of New York City to celebrate the release of his latest album Kill The Lights, performing a private concert exclusively for Citi card holders that will stream live from Irving Plaza on the Live Nation Channel on Yahoo Aug. 7. Tickets for the special Big Apple show will be available for purchase for Citi cardmembers beginning Aug. 5. Fans can tune in to stream the concert live online on Aug. 7 at 9:00 p.m. ET here and will also be able to stream the show wherever they are through the Yahoo Screen App on mobile devices (iOS, Android) and connected devices (Apple TV, Roku and Xbox). “I am so excited to be getting this new music out to my fans and cannot wait to be on stage and enjoy the album release night with them!” adds Bryan about the special event.